I'm going to start this review off by saying that the review title is misleading - if you believe other members of the band, this is not an Afro Celt Sound System album, despite going under that name. Fans of the band may recall reading in January about a split - one of the founding members, Simon Emmerson quit the band and then tried to register the Afro Celt Sound System name as a trademark. Needless to say this is certain to result in a legal battle over who can use the band name in the same way we've seen with UB40. In the meantime we have the farcical situation where there are two separate bands both with the same name. For further information we've included the open letter posted by the original Afro Celt Sound System at the end of this review. Also included is the letter from Simon Emerson's version of the band. Whatever the outcome or this dispute, having two separate bands with the same name can only lead to confusion and damage the Afro Celt Sound System name. So, onto the album. Well as you'd expect it retains the traditional Afro Celt Sound System approach of mixing Celtic music with African music, so you get a wide range of instruments - from the drums, guitar and fiddle to the Djembe, Kora and Balofon amongst others. Add in some electronic beats and a mix of vocal styles and you've got a potentially great mix. The problem that I have is that I've seen Afro Celt Sound System play live several times in the last few years and they always impressed me, but listening to this album I just don't get that excitement - it's beautifully done but it just lacks that pace, passion and upbeat rhythm that you associate with the band. Whereas Afro Celt Sound System normally make you want to dance and enjoy the music, with this album you're more likely to listen to it while chilling out - in short, it's nice background music. Sadly I simply can't recommend this album - musically it was good but disappointing (I was expecting Great, not good), and the whole situation around how the album was done just puts me off further. One for Afro Celt Sound System fans to avoid. An open letter about what has been happening to Afro Celt Sound System. In light of the many questions and uncertainty being experienced by those fans who have bought ACSS concert tickets in good faith and are now finding out that it is not this band who are performing, we feel that it's appropriate to shed some light as to why there is another band operating under the same name at this time. Just 12 months ago, this Afro Celt Sound System of twenty years was heading into its 20th anniversary celebrations with all guns blazing. There was no argument, disagreement or animosity amongst us. While under the co-management and leadership of James McNally and Martin Russell, Grammy-nominated original members, co-producers and principal songwriters of the group, the band had started to attain somewhat legendary status on the live circuit. Together James and Martin resurrected the group from a completely dormant state in 2010, progressing to achieving the highest billing of the band’s career and performing in front of the largest audience the band has ever known. 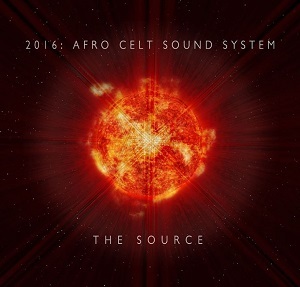 In 2015 Afro Celt Sound System played to over 750,000 people, received rave reviews and recorded its first ever live DVD. Martin Russell and James McNally together devised and produced the band's last album release "Capture". Since then they have been working full time carefully planning every stage of the band's career with the aim of taking Afro Celt Sound System to a new level of exposure and world wide touring. The band was on track, following on from its recent UK and European success, to reasserting itself in North America. With a newly-acquired US agent, seminal events such as Coachella, Austin City Limits and the EDM festival circuit were under discussion, alongside negotiations for breaking into Russia, China and Japan for the first time and returning to Australasia again. This was all being planned to follow on from the release of the first new studio album in ten years. This album, 'Born', had at that time already been in preproduction for over a year, and having been officially announced on the website was shaping up to be the best album we've ever produced. Like all previous ACSS albums, which have never been thrown together in a matter of months, the music takes time to flower and mature; 'Born' was to incorporate only the best ideas, original music and those classic collaborations that our reputation has been made on. This time it was going to be even better. Some well-known artists had already agreed to work with us on the album and we were all very excited by the future. As 'Born' was going to be the first album free of previous contractual arrangements and ties, it was a priority that all of the band's long-term African, Asian, English and Irish musicians would finally be able to be an equal part of it. No one would be excluded, no one left out. Everyone together as one. Out of the blue, however, this band's world and all these plans were turned upside down by news that would leave the entire team feeling devastated, heartbroken and betrayed. Despite having limited involvement in the group since 2010 after prioritising the investment of his time into his own band, The Imagined Village, his role with Lush Cosmetics and other projects including launching a record label, Simon Emmerson still surprised us by resigning from the group, stating that he was doing so to allow enough time to find a replacement for him for the upcoming 2015 shows. The initial reaction to this was one of great sadness that he had chosen to move on, and reluctantly we duly found a replacement and continued without him. It subsequently came to our attention that Simon had registered a trade mark for the name Afro Celt Sound System in the UK and applied to register further trade marks for the same name in the US, Canada and the EU without our being aware that these steps were being taken. We then discovered that he had also secretly begun his own recordings with a newly-formed band using the Afro Celt Sound System name, with the intention of releasing a new album under this name. In October 2015 this was announced publicly, and via an agent he began to sell tickets for concerts in 2016 as Afro Celt Sound System. In a widely-circulated open email from Simon Emmerson to everybody connected with Afro Celt Sound System sent in May 2015, immediately prior to the remaining band members’ first UK headline show, Simon disclosed that he had formed a new three-way partnership that would primarily involve himself, Johnny Kalsi and N'Faly Kouyaté, but which, if agreeable, could possibly also include Martin Russell and James McNally (the two remaining original members of the group). Since James’ and Martin's objective was that any newly-structured band should involve all musicians being regarded as one and the same, not just a chosen few, this was obviously not an option. Further, James and Martin did not consent to the new partnership using the Afro Celt Sound System name and did not believe (and still do not believe) that this new partnership has the right to use the name. There are now two ACSS bands because Simon Emmerson is proceeding to release a purported ACSS album on his folk music record label, ECC Records, without permission or consent (which he states he does not need). Mark Constantine, the multi-millionaire founder of Lush cosmetics, who was formerly a director of ECC Records and is still the sole shareholder, has been actively supporting Simon’s new band on social media and could well adopt the role of "wealthy backer" in the unfortunate legal situation we now find ourselves in over who owns the name. Serious efforts were made to resolve our dispute without going to court, but it has become clear that a court determination of this is required. Martin Russell, James McNally, Simon Emmerson and ECC Records Limited are therefore now involved in High Court litigation over who rightfully owns the name. Simon’s UK trade mark has been challenged. The cancellation (or the transfer to the trading entity which runs the original band) of this and the three other trade marks Simon has applied for is being sought, on the basis of these trade marks having been registered or applied for by Simon in bad faith, and on the basis that Simon does not own the rights to the Afro Celt Sound System name. When band members depart, founders or not, they don't start another group of the same name while the group they have left is an ongoing trading entity. It is devastating to us that our fans are being confused by a second ACSS band that we say has no right to use the name, and also that it has become necessary for the dispute to go to court. We want to resolve the position as quickly as possible for the benefit of the fans and so that we can continue without distraction producing, presenting and celebrating our great music with our loyal and highly valued team of African, Asian, English and Irish musicians and technicians. Collectively this team has over 140 years experience as Afro Celt Sound System. Meanwhile we have chosen to cancel a run of shows in March 2016 rather than involve anyone (promoters or fans) in a messy situation and risk losing further goodwill, and this will most likely remain the case until a legal conclusion has been reached. We respectfully suggest that Simon and his new band should have done the same. Lots of our fans and people from the world of music have been sending messages to us recently asking us to comment on public allegations made by members of a band run by Martin Russell and James McNally. Simon Emmerson started the Afro Celt Sound System in 1994. He came up with the concept and the name and from the formation of the band until Simon, Martin and James split up last year has been a central figure in it. For some time now, Simon along with N'Faly Kouyate, Johnny Kalsi and others have been working on new material for a 20th anniversary record. Last year, we politely asked James and Martin to be a part of that but they refused and, at the moment, are performing and publicising themselves using the Afro Celt Sound System name just as we are. We feel that Simon has rights in the name and every right to trade mark it and to use it. He is doing that in order to protect the legacy which he created. Rather than accepting that and working alongside us, Martin and James decided to work against us and have themselves claimed that they own the name. Sadly for everyone involved, this has turned into a sour legal dispute about who is entitled to use the Afro Celt Sound System name. That position is not helped by people trying to spin the truth. We have seen a post on FB by Dav from Martin and James's band. He has called us "Scum" and says that we are not the real Afro Celt Sound System, that we are a 'fake' band and are only doing this for money and fame. He has now changed this word, which is good (thank you Dav) but we feel that the original remark and other comments being made about us shows disrespect for the Afro Celt legacy. We are not a "fake" band. We are the real thing. We want unity not hate. This is how we have been brought up as Griots. To look at both sides of the argument and to work for unity. We have tried to work with James and Martin to achieve that unity but they have refused. What do we want? New Afro Celt music PLEASE! YES! It's that simple. Ultimately, our fans will decide and the music will do the talking. We ask all Afro Celt fans to help us make this 20th anniversary record and respectfully ask Martin and James to join us in mediation so we can find a way forward. Please don't call us "Scum". This is NOT the language of a real Afro Celt musician. Not in our name. Not in the name of all the Afro Celt fans in the world.